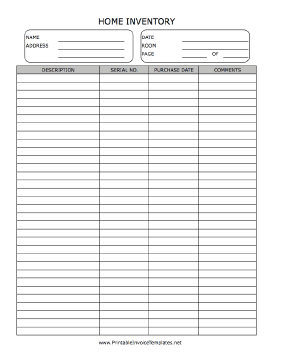 A printable form on which to take an inventory of items in the home. Includes spaces for description, serial number, purchase date, and comments. It is available in PDF, DOC, or XLS (spreadsheet) format.